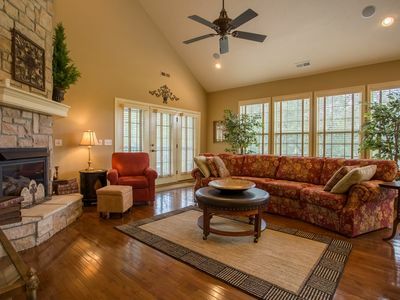 Large 3 level home with 5600 square feet, lots of parking, patio seat 12 and wrap around porch with plenty of seating, main floor master bed room with a king and a queen size beds deck outside bedroom door. 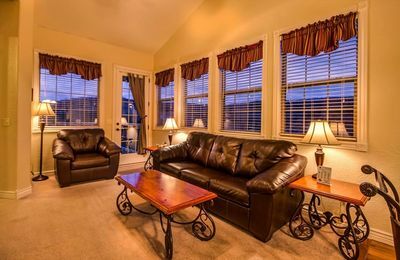 One of 2 of 4 living areas on this floor and the large. 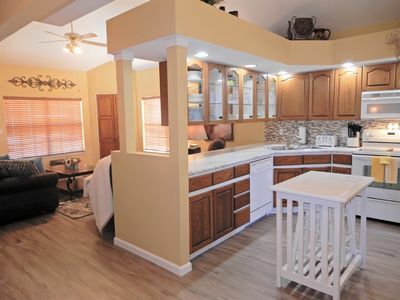 Kitchen with bar seating for 5 and two kitchen tables seat 8 each, plus a laundry room. 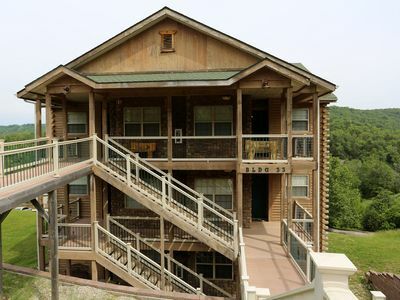 The second floor has a living area, master bedroom with a king and queen size beds, with a door to the deck, the other bedroom is a queen bed and then a bunk room with 4 bunk beds to sleep 8 kids. 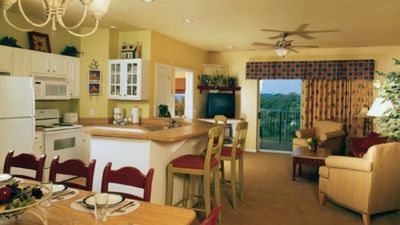 Down stairs has a living area 2 bedrooms both queen and one bathroom both bedrooms have doors to the patio. 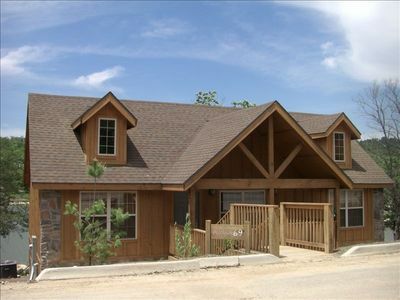 Location has a good view of table rock lake and you can be there in 5 minutes. 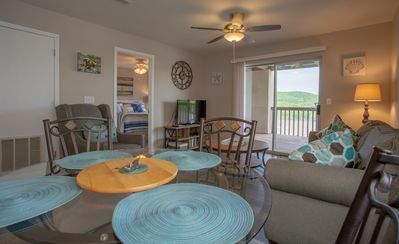 You can be on the strip 76 hwy in 3-4 minutes. You can walk 2 blocks to a zip line. You are out of the Branson city limits but quick to almost every where, if you down hwy 265 the stop light will let you turn on 76 going to silver dollar city and you get there a lot faster than hwy 76. 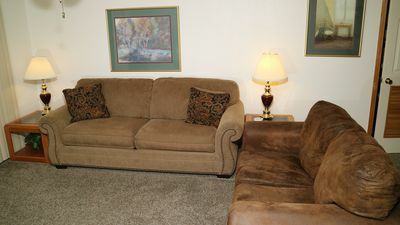 Lakeside Laziness-2 Bedroom 2 Bath Pet Friendly Condo! New mattress in 2017!! 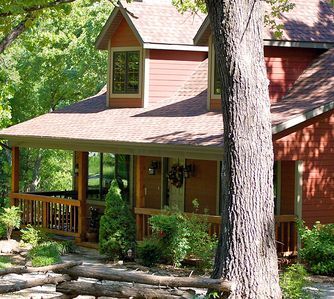 Ozark Dream on the Green-4 bedroom Villa located at StoneBridge Resort!